The name refers to the agency's desire to be an "archetype" for the modern marcomms agency. CEO Helena Maus will lead the newly combined Archetype agency. 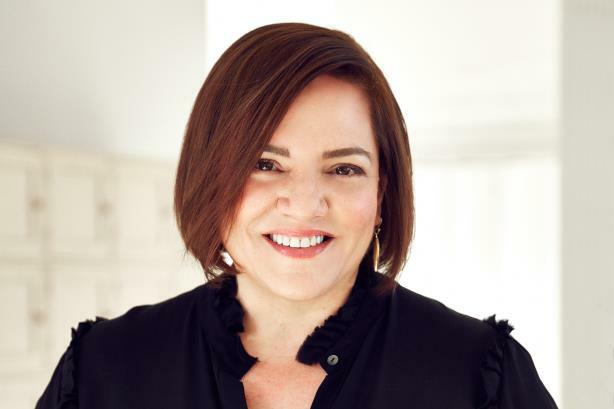 NEW YORK: Almost six months after holding company Next Fifteen said it was merging the two agencies, Text100 and Bite Global have a new name, retiring two of the most recognized brands in technology PR. The new branding, "Archetype," refers to the agency’s desire to be one for a modern marketing and communications agency, according to CEO Helena Maus. Its tagline is "building magnetic brands." "If you really want to get nerdy about it," she said, "there is a concept in Jungian philosophy about the archetype. The archetype is an impression left by past experience in your unconscious." The Next Fifteen agency has also restructured into a single P&L in North America. It has moved its personnel into shared offices spaces and blended its account teams with employees from both agencies. Previously, Text100’s offices operated as separate P&Ls. Bite’s U.S. business was under a single P&L. Pitched as a "flat organization," Archetype has a staff of 700 people in 20 offices worldwide. Maus declined to break out revenue or the number of clients, but the combined shop has about $80 million in total revenue, based on 2017 revenue figures. "We’re building an entirely new kind of agency, but we’re doing it at scale," Maus said. "That is something you don’t [often] get an opportunity to do." Maus declined to name Archetype’s office leaders and said the firm will have no official headquarters as it aims to plug staff into appropriate client work. Text100 CEO Aedhmar Hynes stepped down when the merger was announced in September 2018. She had served as the firm’s CEO for 18 years and worked at the agency for 28. Text100 has suffered significant account losses in the past two years. Last month, Cisco consolidated its agency roster with FleishmanHillard. Shortly thereafter, the agency began to wind down its operations in Rochester, New York, which resulted in 15 layoffs. The Rochester office was the base of its work for Xerox, which remains a client, according to EVP Ken Peters. James Beechinor-Collins said in January that he is leaving the agency after working there since 2015, when Next Fifteen acquired his company, Republic Publishing. Maus said the loss of the Cisco account wasn’t related to, nor did it affect, the merger process and called the incident "strangely fortunate." "What we set out to do is create a company that’s more finely tuned to the way clients work today," she said. "We have a different kind of model. It was time for them to move on. For us, the fact that we were already trying to rethink the global agency, the timing was quite incredible." Last May, IBM picked Weber Shandwick to lead its global agency roster after a relationship of 17 years with Text100. In 2017, Lenovo chose Zeno Group as its AOR after working with Text100 for a dozen years. Bite and Text100 had a previous merger in 2014, when Next Fifteen combined their Asian and European businesses. Bite spun off from Text100 in 1995 so the agency could pitch for Apple’s business; previously, it was conflicted because of Text100’s work for Microsoft.